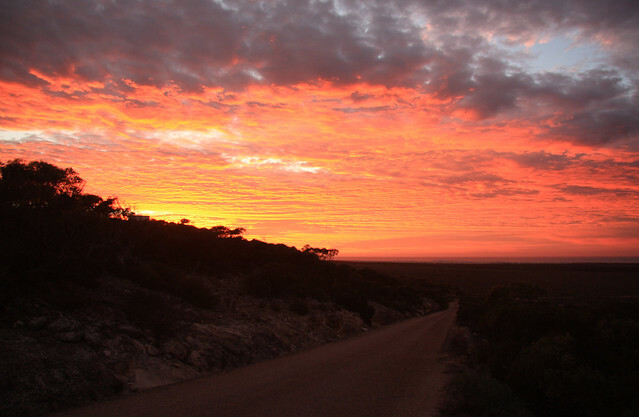 Sunrise at Eucla looking west. 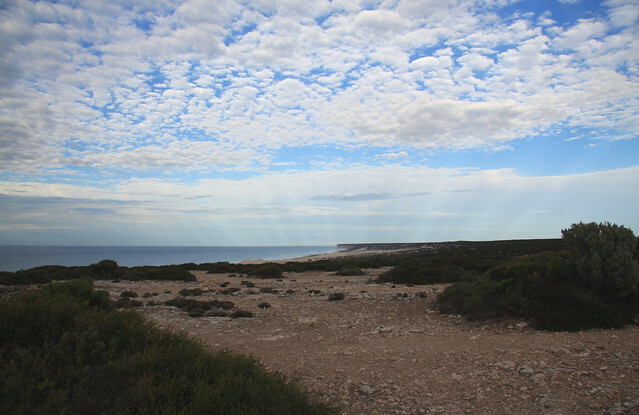 the cloud cover caused Anticrepuscular Rays about an hour after sunrise. 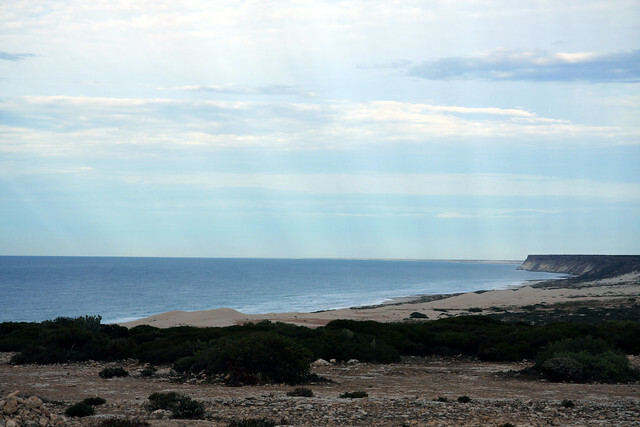 The cliffs of the Great Australian Bight are where Australia ends and the Southern Ocean begins. 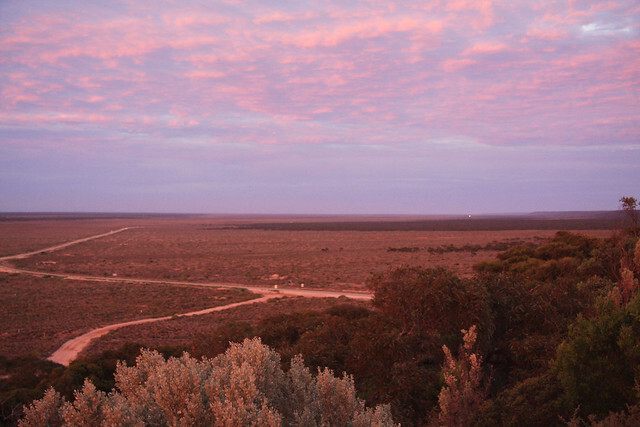 The Nullabor. It's Latin for "no trees." 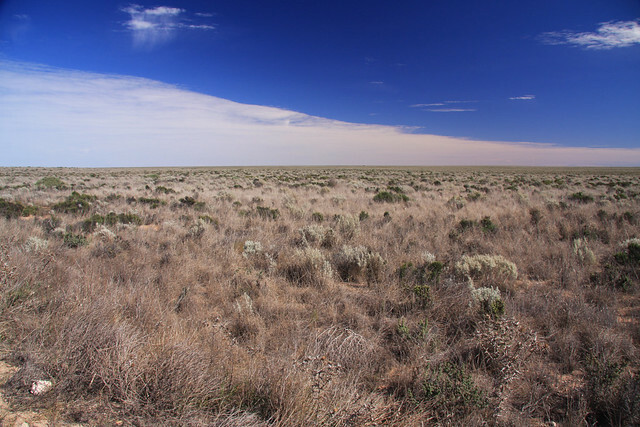 Photographed with a polarizing filter. Seriously, great photos! I love the sunrise best. The sunrise there was spectacular. The only problem is that in order to photograph the sunrise, you have to get up before sunrise, and my brain refuses to work properly at that time. 'ol foxaroo's up before sunset every day!